More common in South Africa than Down Syndrome, Spina Bifida and Autism combined, Fetal Alcohol Spectrum Disorder (FASD) directly affects at least 3 million people in the country1. Drinking alcohol while you are pregnant can result in permanent harm to your unborn baby. With a disproportionate prevalence of FASD in De Aar in the Northern Cape, the South African based Foundation for Alcohol Related Research (FARR) began its work in the area. Through the funding received from Solar Capital, who this year launched the largest solar farm in the Southern Hemisphere, FARR introduced the Healthy Mother Healthy Baby© (HMHB) Programme in De Aar. 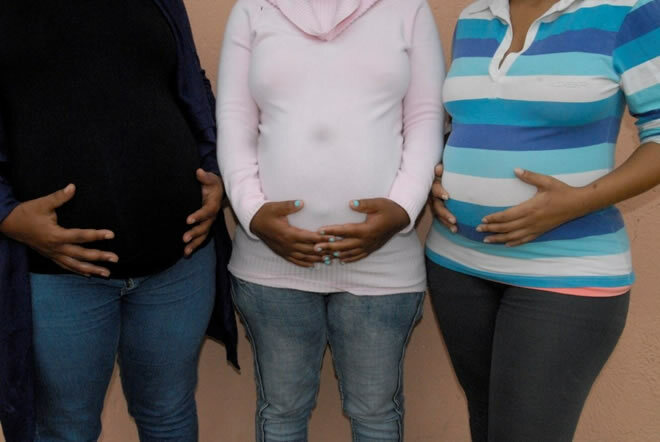 With the goal of supporting pregnant women to have healthier pregnancies and healthier FASD-free babies, the FAAR programme strives to reduce FASD by empowering women with knowledge and providing access to health and supportive services. Solar Capital has been involved in the funding of FARR’s flagship project in De Aar since 2013. When beginning construction outside of De Aar in 2012, Head of Economic Development at Solar Capital, Janice Finlay, saw the widespread effects of FASD first-hand. “I knew that De Aar had been declared as the town with the highest reported rate of FASD in the world in the early 2000’s with 12.2% of babies being affected. It was only after visiting this area that I understood why. This rate is certainly linked to historical and socio-economic factors which have manifested in an area with a high unemployment rate, poverty, a culture of violence, dysfunctional families and a sense of hopelessness”, says Finlay. To date FARR has experienced a definite decrease in the number on children born with FASD in De Aar. Paediatrician, geneticist and found of FARR, Professor Viljoen, remembers how common FASD was in this first clinics. Now he rarely diagnoses a child with FASD and refers far fewer children with other health problems for further assessment. The HMHB© Programme also helps in raising awareness of the problems of alcohol abuse and FASD by means of a ‘Sensible Drinking’ programme which boyfriends and husbands are also encouraged to attend. Much time is also spent with local teachers to ensure that referrals are made where appropriate and that skills on how to deal with FASD and other learning problems are gained. 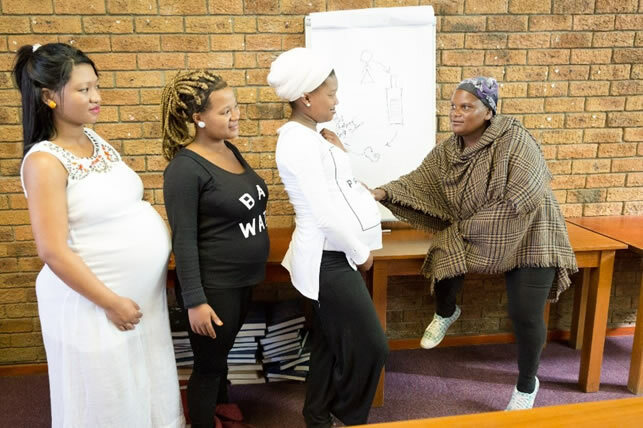 “Mothers who participate in the programme are better equipped to make informed decisions about their pregnancies and ultimately the health of their unborn babies. They also gain information and skills to ensure that they can spread FASD prevention messages to their family, friends and other community members,” says Finlay. The University of Stellenbosch’s Nutrition Information Centre also states that children with FASD are often born prematurely or with a low birth weight. This puts the child at risk for infectious diseases and ill health. “Individuals with FASD tend to be approximately 10% smaller than their normal peers,” says Finlay. South Africa has the highest reported FASD rates in the world with prevalence rates ranging between 27/1000 or 2,7% (in Gauteng); 122/1000 or 12,2% in the Northern Cape Province; 130/1000 or 13% in the Eastern Cape Province and 290/1000 and 29% in the Western Cape Province2. Solar Capital sees enormous value in funding the FARR Project in the area. “Our involvement provides FARR with essential financial support which they use to develop local capacity within the community to facilitate the birth of healthier children and to provide improved care to family members. Alcohol abuse and FASD had a crippling effect on this community,” says Finlay. With projects like these we are contributing to the psycho-social and economic well-being of society and a healthy new generation. “We encourage more corporates to start funding similar projects in the rest of South Africa in order to develop healthier and stronger communities and to support the government departments in their challenging tasks,” concludes Finlay. 1 Due to financial and other resource constraints, the majority of the FASD research conducted in South Africa is at present done by FARR and is limited to 4 of the 9 provinces. In the Western Cape Province, an American group (FASER) is doing research in two districts. 2 In accordance with international criteria for FASD prevalence studies, all these investigations were done with Grade One Learners. The HMHB© Programme teaches women about healthy pregnancies. Three women attending an HMHB© workshop.